» B-25J Mitchell bombers of the 41st Bomb Group armed with Mark XIII torpedoes prepare for take-off from Yonton Airfield, Okinawa bound for an attack on Japanese shipping at Sasebo, Japan, 28 Jul 1945. This photograph has been scaled down; full resolution photograph is available here (3,778 by 3,002 pixels). 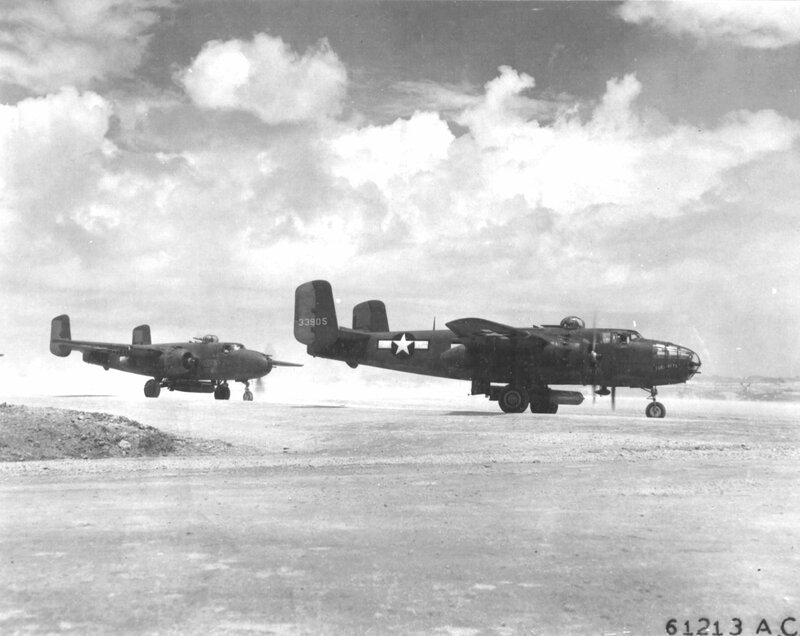 This was the first mission where B-25s were armed with Mark XIII torpedoes. Note the absence of tail shrouds or nose drag rings on the torpedoes.